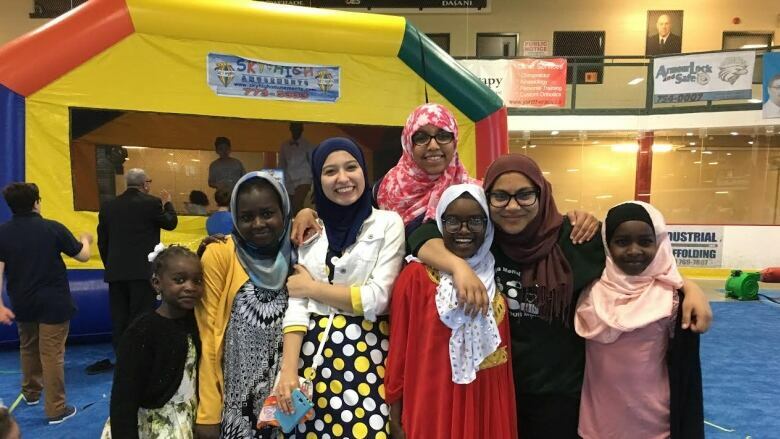 After 29 days of fasting, the Newfoundland and Labrador Muslim community celebrated Eid on Sunday with prayers and bouncy castles. 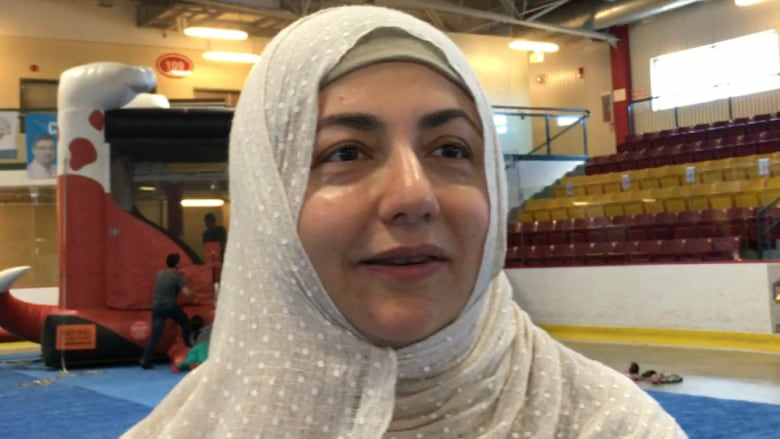 Muslims in the St. John's area joined with others around the world in celebrating Eid Sunday — the festival that marks the end of the Islamic month of Ramadan. The celebration at Jack Byrne Arena Sunday morning began with prayers and then a meet and greet with tea, coffee, and snacks. "After prayer, we had refreshments, and after refreshments they put out some bouncy castles for kids to play on," Reem Abu-Hendi said. 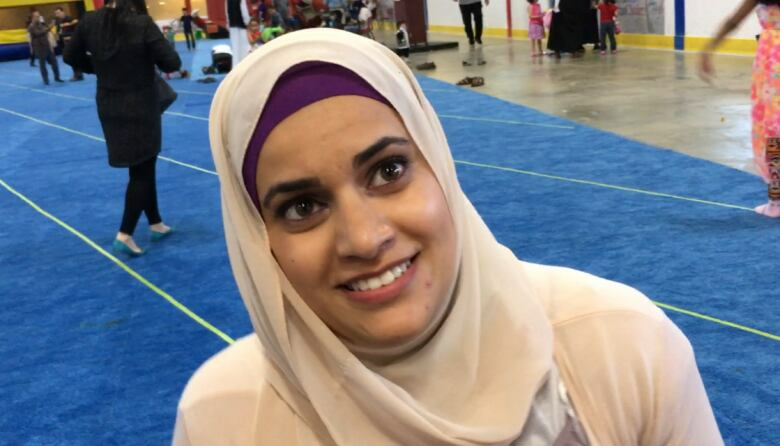 The local celebration is huge — about 3,000 Muslims packed the Jack Byrne Arena early Sunday morning. "The community at first, was not that large so like the mosque used to accommodate us but now it's really big like 3,000 people in one place, it's amazing," she said. "Just to see all the Muslims in one place, it's a great feeling." Abu-Hendi said. Ramadan is a sacred time for Muslims, who believe that it was when the Qur'an — the holy book — was revealed through the prophet Muhammad. "It's 30 days but this year it happened to be 29 because of the moon," Ayamen Shaawen said. The month, which started this year May 26, includes dawn-to-dusk fasting, and ends with a religious holiday called Eid. "We fast from 3 a.m. until 9 p.m. so it's 18 hours a day," Abu-Hendi said. The fasting can be challenging, but that's what makes it worthwhile, she said. "Your body just gets adjusted to it, and I would say it's thirst more than hunger, so you can usually go about your daily activities but around 6 p.m.-7 p.m., I'm done," she said. Without food all day, you'd think there might be a lot of cranky people walking around who are "hangry," but Abu-Hendi says it's all about willpower. "Ramadan teaches you patience and self-control. If we lose to anger we could break our fast," she said. "It's more of a self-discipline thing," Shaawen said. Volunteers who set up the event get up at the crack of dawn to prepare the arena for the 3,000 attendees. "It's a big challenge for those who volunteer to organize it. Before we had a smaller community and our mosque was able to accommodate the size of our community but not anymore," said organizer Ayse Sule. "It's a team effort," said Moein Shahwan, vice-president of the Muslim Association of Newfoundland and Labrador. "It brings lots of richness to our community and we are proud of it," Sule said. 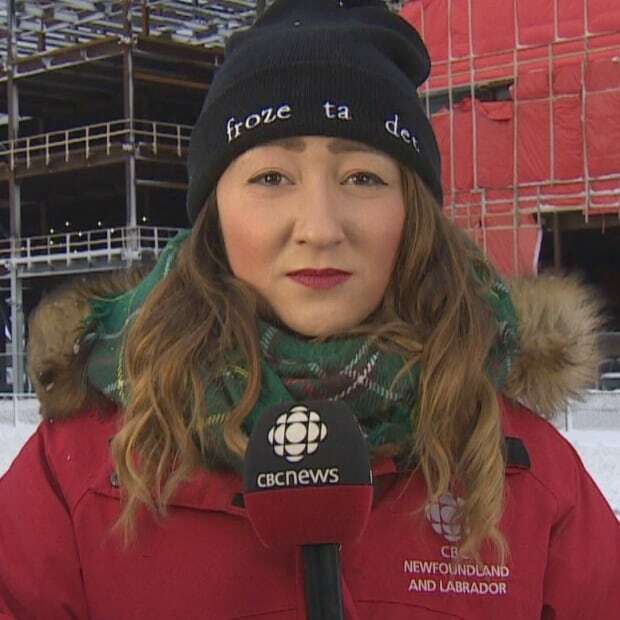 Alyson Samson is a journalist working with the CBC in Newfoundland and Labrador.